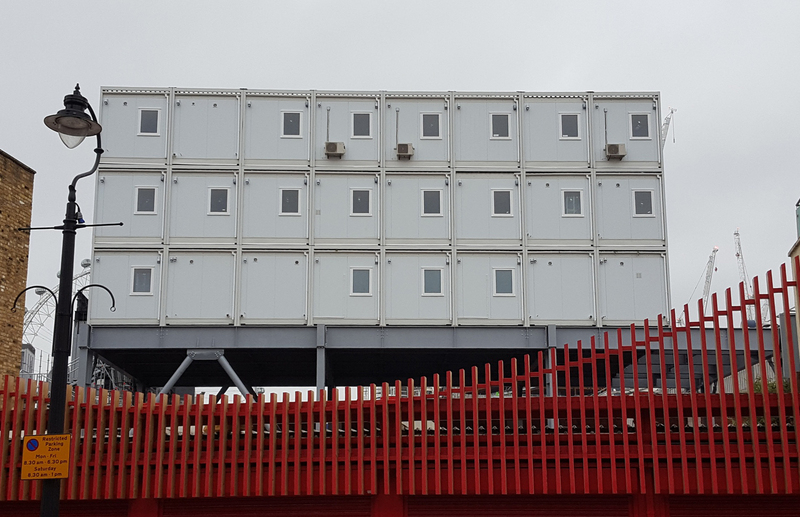 Due to their high quality product and attention to detail, Premier Modular Limited was appointed by Skanska Construction to provide a complex temporary office accommodation scheme within a very tight timetable. The major scheme forms part of the £400m Wessex Capacity Programme, which will increase train and passenger capacity at London’s busiest station and across the Wessex Route over the next six years. Premier’s Transline Plus product was ideal for the project requirements for a three storey office and welfare facilities. The complex comprised 24 modular bays of 12,2m x 3m clear span, providing changing rooms, first aid facilities, an induction room, office space, dry stores, meeting room and WC facilities. The building was provided complete with an enclosed external staircase. All double and single doors were fitted with vision panels and UPVC windows fitted into the building. Premier has a wealth of experience in the construction sector and is well known for its experienced team, flexible approach, high quality building installs, together with the assurance that safety standards will not be compromised. Premier’s range of hire products are robustly designed for long term use and flexibly designed to allow multiple configuration through a variety of market sectors.